Here's a quick look at all 23 players nominated for this year's NAB AFL Rising Star award ahead of the announcement on Wednesday. 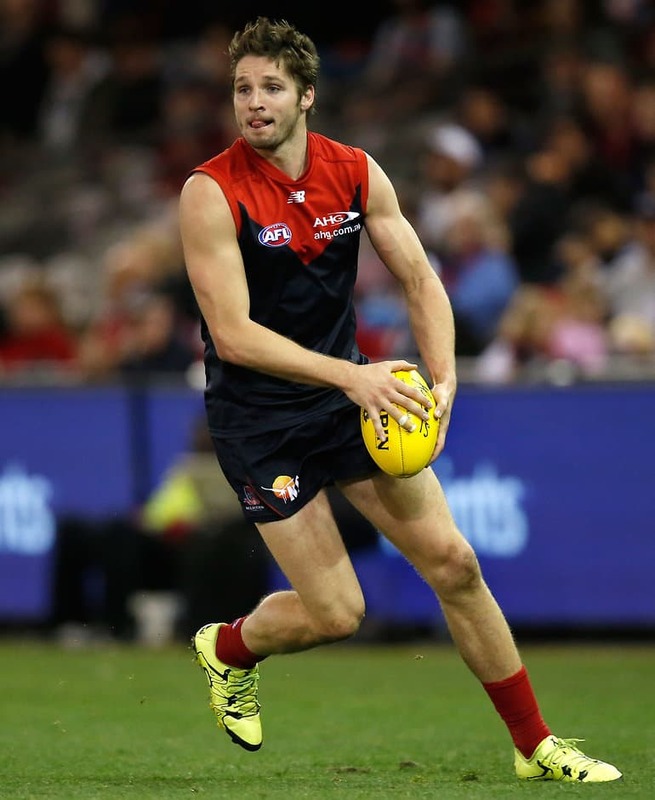 McIntosh had tongues wagging in his debut when he burnt off Chris Judd and kicked a brilliant goal against Carlton. The Tiger played every game this season and established himself in a side that knocked off most of the top teams. Tenacious and tough, the on-baller makes his presence known in the contest. His competitiveness has seen him doing his best work where there's a scrap to be had. Honeychurch's tackling in the forward 50 means he has defenders worried whenever he's around. Heeney's toughness has earned him immediate respect from teammates and opponents. He was a midfielder at junior level, but has been a pressure forward for the Swans this year. Was an early favourite for the Rising Star, but a knee injury proved costly. The big midfielder drew comparisons with Nat Fyfe with his size and ability to win the ball in the contest. Cripps was the shining light for Carlton this season and looms as the centrepiece of the Blues midfield for the next decade. Injuries opened up a spot for Saad, but he quickly made a name for himself. His pace off half-back and left boot gathered plenty of attention, but his willingness to run with the flight of the ball set the standard at Gold Coast. Gregson's line-breaking ability has stamped him as one of Geelong's most exciting young players. An accomplished gymnast in his younger days, Gregson combines outstanding athletic ability with accurate kicking to be a danger around goals. Cripps or Hogan: Who will win this year's NAB AFL Rising Star? Any young player able to consistently play for a dominant Hawthorn team deserves plaudits. One of the fittest players at the Hawks, Hartung found a niche on the wing with his hard running. The Giants lost Tom Boyd last year, but it opened up an opportunity for McCarthy and he grabbed it with both hands. His outstanding marking is the feature of his game, and his partnership with Jeremy Cameron will keep opposition coaches sleepless for years to come. Optimism isn't a common trait among Melbourne fans these days, but Hogan has given the Dees' faithful hope. His strength and bodywork in marking contests had him consistently beating far more experienced defenders. Brayshaw's hard tackling and ball-winning abilities mean he loves a contest. Not just an inside player though – he can kick on both sides of his body when in the open. Looms as a future Melbourne captain. Broomhead's first season was ruined by glandular fever, but he has made significant strides since then. A classy midfielder, he can win his own ball while his composure ensures he often makes the correct decision with his disposal. A big contract has ensured high expectations have been set for the young key forward. While he still has plenty of development left, Boyd's size, marking and goalkicking ability mean he looks set to be a mainstay in the Dogs' forward line for years to come. Drafted as a rookie, Cameron showed he was well suited to the AFL from his first game. His speed and tackling in the forward 50 brought another dimension to Adelaide's forward line this year, while his goalkicking makes him a constant threat. Playing in a St Kilda team that places a lot of value on pressuring the opposition suits Lonie perfectly. What he lacks in size, he makes up for in vigour, with opponents needing to be constantly aware of his presence. Kicks goals as well. Despite his tender years, Sheed cemented a spot in a top-four team. His all-round game means he has few weaknesses. Can win his own ball and is also an excellent decision-maker. With injuries hitting the Gold Coast midfield hard this season, Miller stepped up to be an important player. His fearless attack on the ball and ferocious tackling meant he became an important part of the Suns' midfield. The defender made his mark at Adelaide with his competitiveness in defence despite missing all of his last under-18 season with an ACL injury. His leadership is highly rated and he could one day captain the Crows. While key-position players usually take longer to develop, Andrews made an instant impact with his ability to read the ball in the air and take intercept marks. His versatility means he can also play forward or in the ruck. Thurlow was rewarded with a three-year contract extension after establishing himself in defence. His playmaking ability and intercept marking has seen him compared with Geelong great Corey Enright. De Goey's tackling and competitiveness at the contest saw him become an important part of Collingwood's team. His versatility means he can play forward or in the midfield. Lang established himself in Geelong's team this year. Can play as an inside midfielder but his speed means he can break away from the contest as well. Spent a lot of time up forward this year and can dispose of the ball using both sides. Lennon's marking and a beautiful right boot have held him in good stead this year. His size and ability to win the ball in the contest means he will eventually become a strong inside midfielder who can push forward. Lightly framed, but his agility makes Fantasia dangerous, especially in the forward line. Can find the ball in the midfield as well. His speed will be increasingly important in an Essendon side that sometimes lacks pace.